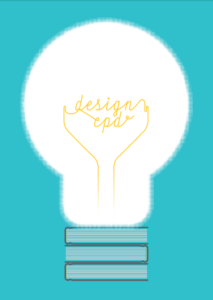 For Registered Chartered Designers, no matter to which design organisation or body you belong, substantial CPD is an annual requirement. To assist you in undertaking valid CPD the Society has developed the CSD Knowledge Bank which will curate the very best knowledge available from suppliers and providers in your design specialism. All of those listed will be experts in their particular field and able to offer you advice and consultancy on a range of topics that will fulfil your CPD requirements. The CSD Knowledge Bank is not a ‘directory’ – it is your ‘resource’ – and in keeping with the CSD brand of endorsing the very highest of standards and professionalism, only those suppliers and providers who pass the rigorous scrutiny set by the Society will be featured in the CSD Knowledge Bank. We want to ensure that the CSD Knowledge Bank delivers exactly the resources you need in your field of design practice. So please take a minute to answer a few simple questions that will allow us to make sure you have what you need. If you are a CSD member or Chartered Designer, undertaking CPD with CSD Knowledge Bank experts, it will be fully integrated into your online CPD audit and plan within your online portfolio. The CSD Knowledge Bank will launch from this webpage shortly. If you want to find out more please contact the CSD Knowledge Bank or visit the membership pages to apply to become a member of the only Royal Chartered professional body which sets the standards for best design practice and represents designers who specialise in all design disciplines.